Ex-Trio frontman Stephan Remmler had two major single hits in 1986 -- "Keine Sterne in Athen" and "Alles hat ein Ende (Nur die Wurst hat zwei)" -- which didn't sound much like his former band's songs, but whose popularity still somewhat disguised the fact that the accompanying album flirted with all the genres -- schlager, sentimental ballads, marching music, and more -- that are avoided and dismissed altogether by rock and pop music listeners. His second solo album, LOTTO, released in 1988, continues in the same direction. But where Remmler's first album -- at least half of the time -- kept an ironic distance to the genres it appropriated, many songs on the follow-up simply embrace them without any kind of irony or wink to the audience. "Drei weisse Birrrken," featuring a guest appearance by Status Quo, doesn't toy with the schlager conventions the way the beer-drenched "Lass mich einmal noch wieder bei dir sein" did, it simply is a schlager song -- and a rather cringe-worthy one at that. Same goes for the simplistic "Eine kleine Weile nur" (Just a Short While). "Oben aufm Berg" (Up on the Mountain), about making love on a mountain (! ), drowns in kitschy strings and wordless female backing vocals and is saved only by the fact that Remmler doesn't sing the lyrics, but recites them in his laconic trademark delivery. While the first album often bordered on the painful, it remained interesting because the listener was unsure whether Remmler was actually serious. This time around, it becomes clear that he was, and that knowledge makes the less humorous songs largely unappealing. Still, some of the songs work just fine (if you enjoyed the first album, that is): the Brazilian flavor of the first album is revisited here, with the samba "Dass das nicht die grosse Liebe war war klar" (That That Wasn't Big Love Was Clear) and the party song "Bahia," recorded together with Angela Smecca (who had been featured on the duet single "Feuerwerk" [Fireworks] with Remmler back in 1984, under the name "Stephan & Nina"). "Keine Angst hat der Papa mir gesagt" (Don't Be Afraid, Papa Told Me) was Remmler's last hit single of notice, and it's catchy, even though its accordion-driven sound kept it from staying in the pop charts for very long. The comical "Einer ist immer der Loser" (Someone's Always the Loser) is funny, and even though it didn't catch on as a single, it still remains one of the songs Remmler is well known for. 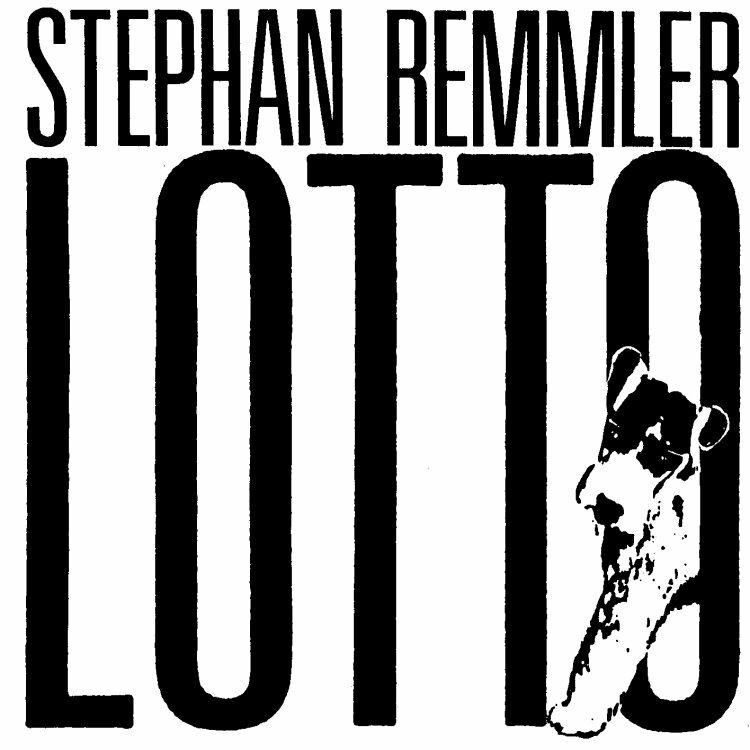 However, LOTTO sold much worse than its predecessor, and Remmler had to cancel several tour dates because ticket sales were abysmal. The album is more listenable than its sales would suggest -- again, provided that you weren't turned off by his solo debut -- but it doesn't feature any essential songs and is therefore only recommended for those who want to delve deeper into Remmler's world after digesting his first effort. This review was written for the All-Music Guide on January 1, 2008.